Healthcare organizations strive to improve the quality of care for patients; however, finding methods to do this without increasing costs can be a challenge. Southcentral Foundation (SCF), a nonprofit healthcare organization in Alaska, has found engaging and partnering with patients on their healthcare journey can lead to better care and outcomes without incurring higher costs and actually decreases overall costs. SCF is an Alaska Native–owned system responsible for providing healthcare and related services to approximately 65,000 Alaska Native and American Indian people in southcentral Alaska. SCF assumed this responsibility in 1998;* previously, the population’s health services had been overseen by the Indian Health Service from thousands of miles away. Alaska Native and American Indian people are not considered “patients” at SCF; this word is passive and does not reflect the level of engagement SCF aims to achieve. Instead, SCF uses the term “customer-owner” since individuals seeking healthcare are both customers and owners of their healthcare system. Realizing the importance of customer engagement and responding to the desire of Alaska Native people to have a larger role in their healthcare, SCF partnered with customer-owners to restructure the system. Customers expressed a need for comprehensive physical, mental, emotional, and spiritual wellness. They did not want to wait months or have to travel to multiple locations for care—both obstacles under the old system. 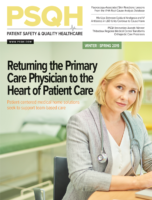 Alaska Native values and priorities set the tone for a whole-system transformation focused on relationships between customer-owners and providers, and the delivery of healthcare in a single location. The resulting healthcare system was coined the Nuka System of Care, and it is managed and owned by Alaska Native people. The system delivers services at a single location and in a holistic manner using integrated care teams, including a primary care provider, behavioral health, and other services. In a customary doctor-patient relationship, the doctor diagnoses the patient’s illnesses and prescribes treatment; the patient’s role is often minimal. In SCF’s Nuka System of Care, customer-owners work in partnership with providers to identify the best care plan. The focus is on overall wellness for the customer-owner rather than reactive treatment of symptoms. Customer-owners are active participants in their healthcare.